16 Mar We are excited to announce Thermbond “Half Jugs”! We are excited to announce Thermbond “Half Jugs”! These special jugs were developed for ease of use and convenience in the field when installing Thermbond formulations that require 2 bags of material for every standard jug of liquid. We understand that for many jobs you may only want to mix one bag of dry material at a time, and measuring the precise amount of liquid required can be tricky. 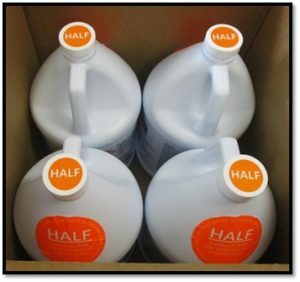 We have eliminated the guess work by pre-measuring and filling our “Half Jugs” with the exact amount needed for one bag. 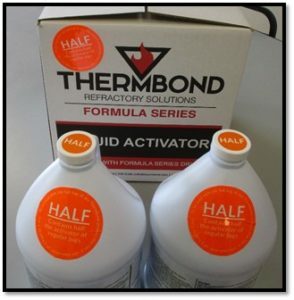 *Note that Thermbond “Half Jugs” are one gallon jugs that are filled with an appropriate amount of Thermbond liquid activator to mix with one bag of any of the products above, and are not filled with one-half gallon of liquid activator.